Once a person finds a dentist and a dental practice that they are comfortable with, have confidence in and trust they become loyal patients. At Corry & Lewis dental our entire staff works very hard to earn that loyalty by providing by providing quality dentistry in a friendly and caring way. Our dentist Cedar City treats the patient like their friends, offering the latest dental services for the entire family in our state-of-the-art equipped office. Our dentist Cedar City is a traditional general practice, which means that we are the first, and in most cases the only, practice to visit to take care of all your family’s dental health needs. Our practice’s services extend to all aspects of general, cosmetic and restorative dentistry. Our compassionate care begins with an initial consultation where our staff will discuss your dental and general health, do a physical examination looking at your teeth, gums, bite and screening for oral cancers and take low-radiation digital x-rays. Our dentist will then discuss all aspects of your care and any potential treatment or preventative care options. Our practice respects your concerns, time and budget and will work with you to tailor a plan that best works for your needs. Our preventative care includes cleanings, fluoride treatments, gum treatments and sealant applications. 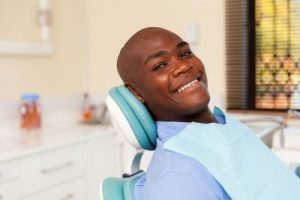 We offer the full scope of restorative services including fixed bridges, tooth-colored fillings, implants, crowns and bridges, porcelain crowns, dentures, extractions and root canal therapy. Our dentist Cedar City wants you to look your best when you smile so our office also offers exceptional cosmetic dentistry services. We offer cosmetic bonding and sealants, teeth bleaching and whitening, porcelain laminates, and Invisalign orthodontics among others. Our practice believes that a visit to the dentist’s office should be a stress-free event, so we work hard in making our office a warm, inviting environment filled with friendly, helpful staff. For those patients that are a little more apprehensive we have nitrous oxide sedation to relieve any anxiety or discomfort during a procedure. Please get to know our practice by making an appointment with our office and see what we can do for your family.